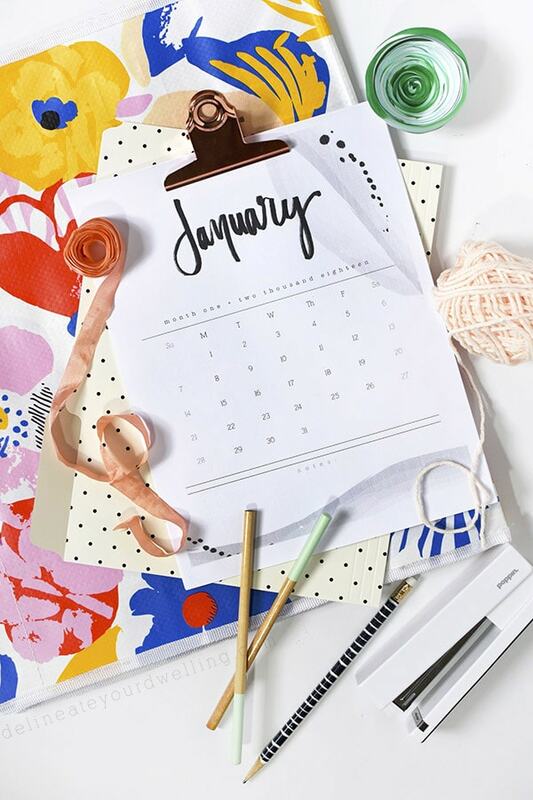 Now that 2018 is well underway, hopefully all of you are organized and ready to hit the year running! 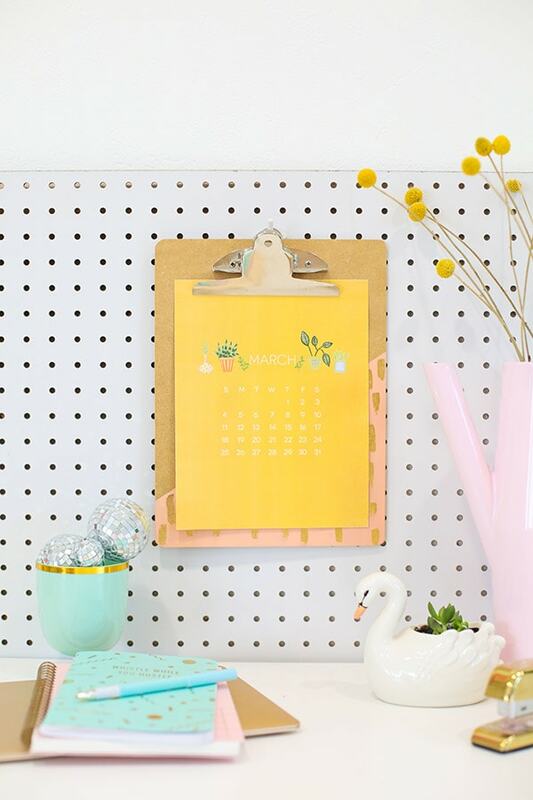 And what better way to have success than to have a pretty calendar ready and waiting for you. 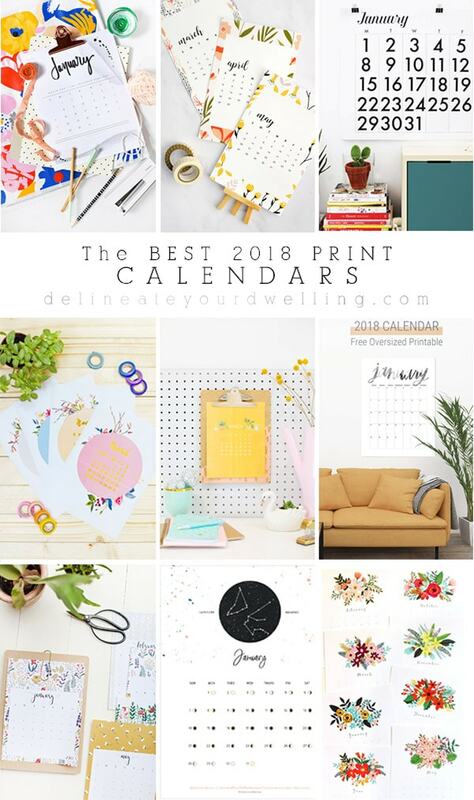 Today I am rounding up the Best 2018 Print Calendars! UPDATE!! UPDATE!! 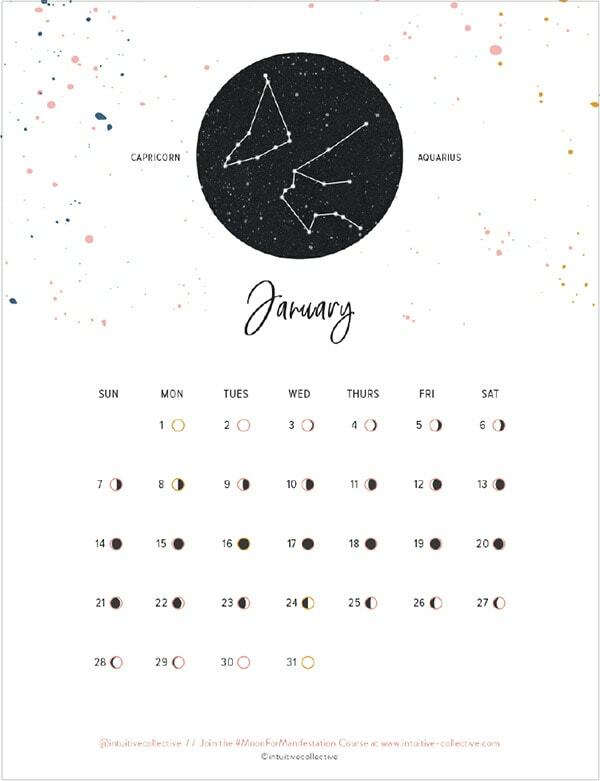 2019’s Hand Lettered Calendar is now available for download! 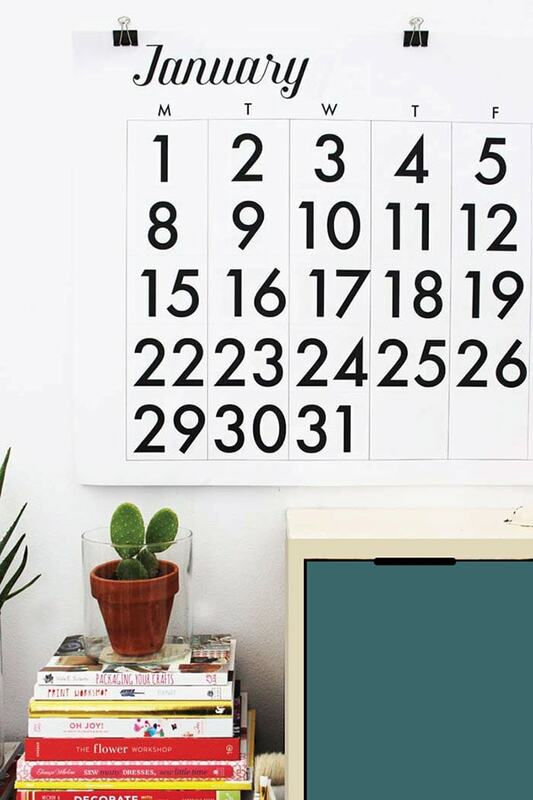 Delineate Your Dwelling : I love the simple look of this calendar. 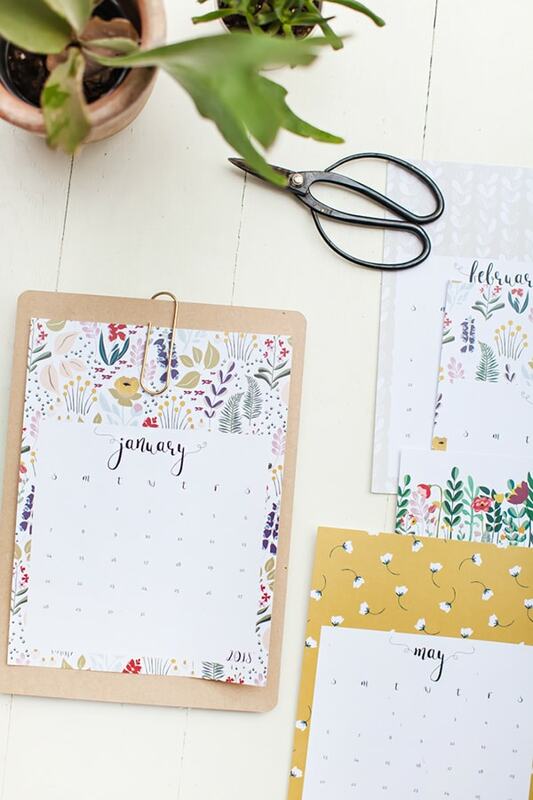 This Little Street : The most sweet graphics are around each border of this calendar. 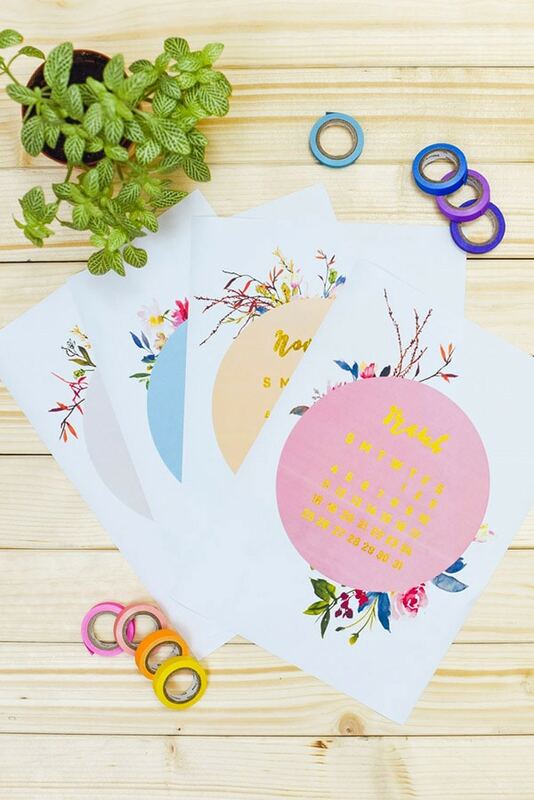 Alice + Lois : Could these floral graphics be any more perfect? Also the colors are great. 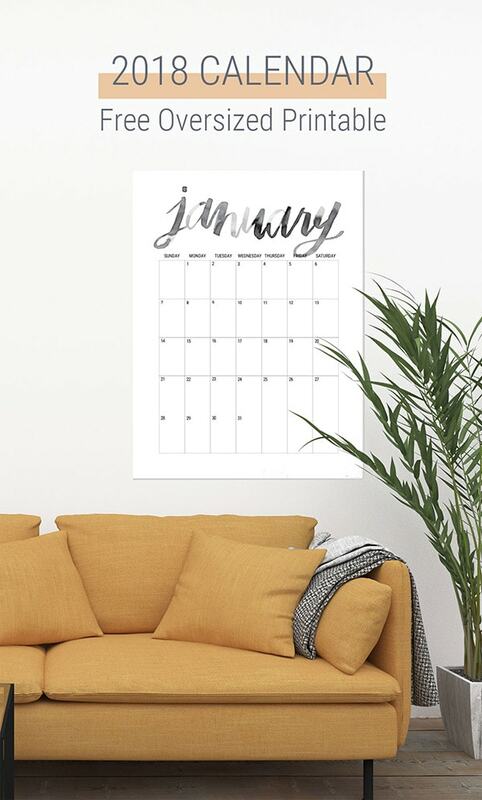 Shrimp Salad Circus: The modern calligraphy of this calendar is stunning! Poppy talk : Simple graphic and oh so lovely! 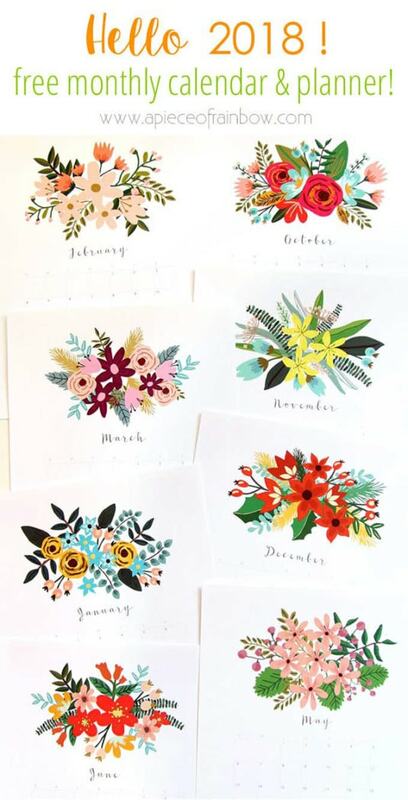 Enthralling Gumption : Love the nature in circling this calendar! 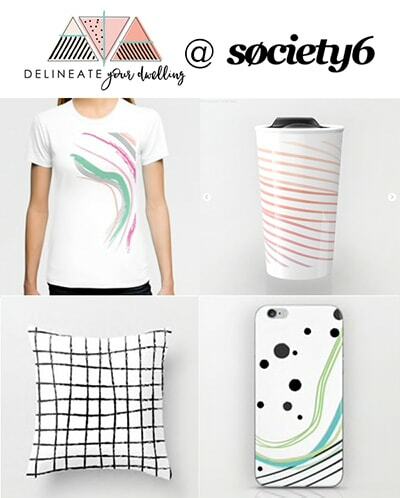 Lovely Indeed : Bright and bold color, yes please! Intuitive Collective : Love the constellations. 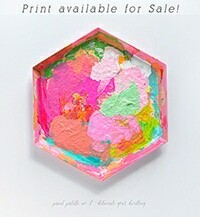 A piece of Rainbow : These remind me of Rifle Paper co florals, love them! 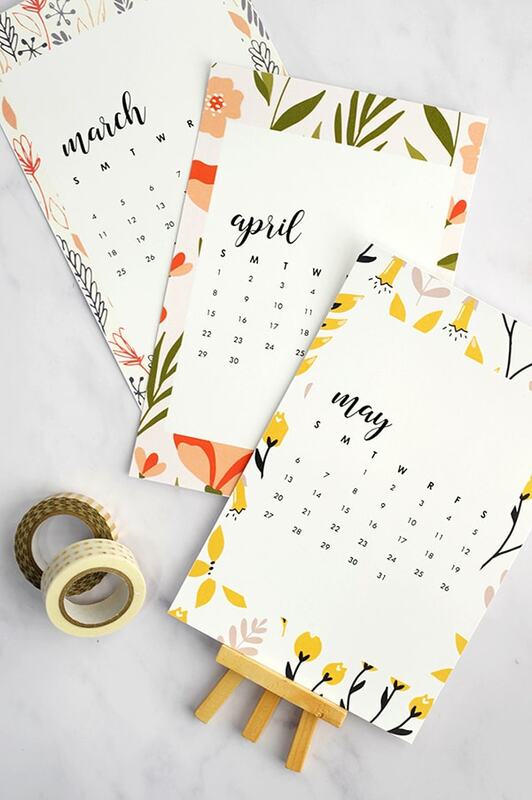 Thank you for your nice and beautiful calenders. I love them all and can’t decide, which one I will take. I guess there will be one for every room in my flat!